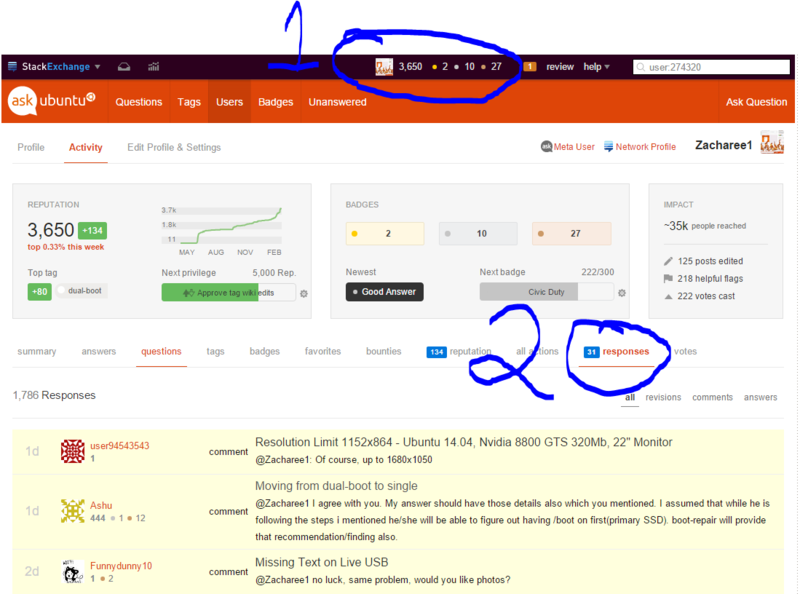 Is it possible to search in comments at my questions? In a comment to my question I have got a general advice which I intend to try again. Is it possible to find the comment, without opening all my questions, clicking at 'show more comments' and Ctrl+F? Thanks. Go into your user profile. You can see all comments people have left you. You do have to click through the pages, but it's better than going through every single answer or question.